Here are the countries most at risk of a deadly volcanic eruption, according to an international team of experts known as the Global Volcano Model network. Two hundreds years after Mount Tambora exploded in the biggest volcanic eruption ever recorded, Indonesia remains the country most at risk of another deadly volcanic eruption. In this photo, people inspect damage caused by the 2010 eruption of Mount Merapi, looming in the distance. Evacuations before the eruption saved an estimated 10,000 to 20,000 lives, according to the new report. Mount Mayon towers over Legazpi Airport, a major hub in Bicol on the island of Luzon. Five climbers were killed and seven were injured on Mount Mayon in 2013, when the volcano unleashed an unpredictable phreatic explosion. 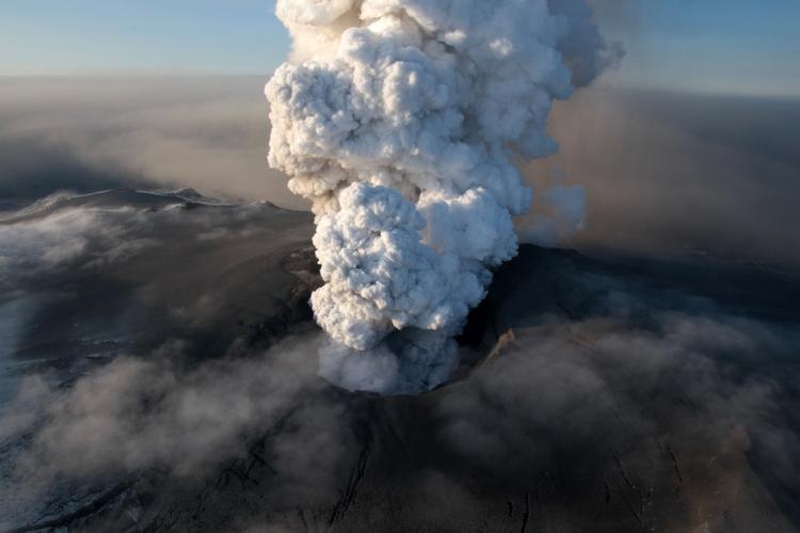 A phreatic explosion occurs from water seeping into the magma chamber, then blasting out as steam. Mount Sakurajima is one of the world's most active volcanoes, with hundreds of years of explosive eruptions. Mexico's Popocatépetl volcano has been puffing out ash and steam since it awoke from slumber in 1994. "Popo" is only about 40 miles (64 kilometers) from Mexico City, and is the second highest volcano in North America, at 17,802 feet (5,426 meters). From volcanoes with active lava lakes to freshly-formed cracks in the earth, Ethiopia is a hotbed of volcanic activity. This photo shows a fissure that emerged in 2005, when rising magma in the Afar Desert created a tear in the Earth's crust 37 miles long (60 km). Volcán de Agua, a 11,500-foot-tall (3,500 m) volcano, destroyed the first Guatemalan capital city established by Spanish Conquistadors. A devastating mudflow called a lahar buried the city, though the volcano did not erupt, according to historical accounts. Tungurahua volcano in Ecuador is one of South America's most active volcanoes. Volcanology got its start at Italy's Mount Etna, where scientists and naturalists have observed volcanic eruptions for more than 2,000 years. Mount Etna is Europe's largest volcano. Coatepeque volcano's last violent eruption was more than 50,000 years ago, and it left behind a deep, bowl-shaped depression now filled by a picturesque lake. But smaller eruptions have since built cones in the past 10,000 years, making the volcano a possible threat to people living nearby. Iconic Mount Kilimanjaro towers over African savannah. Kibo, the highest peak, is dormant, but Kilimanjaro is the largest of a string of some 20 explosive volcanoes in East Africa's Rift Valley. Server responsed at: 04/20/2019 10:35 p.m.